You read that right, sweet-ums. 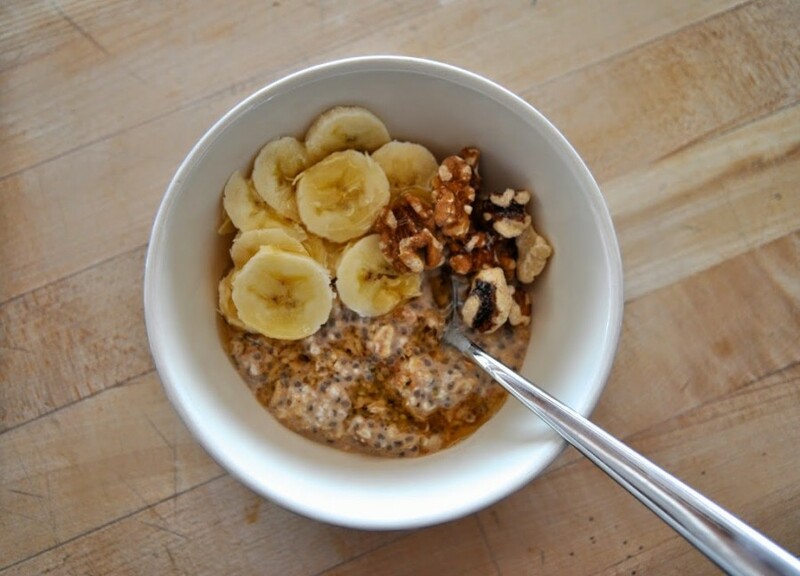 Chia Banana Bread Overnight Oatmeal. Delicious and easy. What more could you want? I am always on the lookout for simple breakfasts, especially those that are simple and quick. And overnight oatmeal is one of my favorite ways to get a nutritious breakfast that is all of those things! 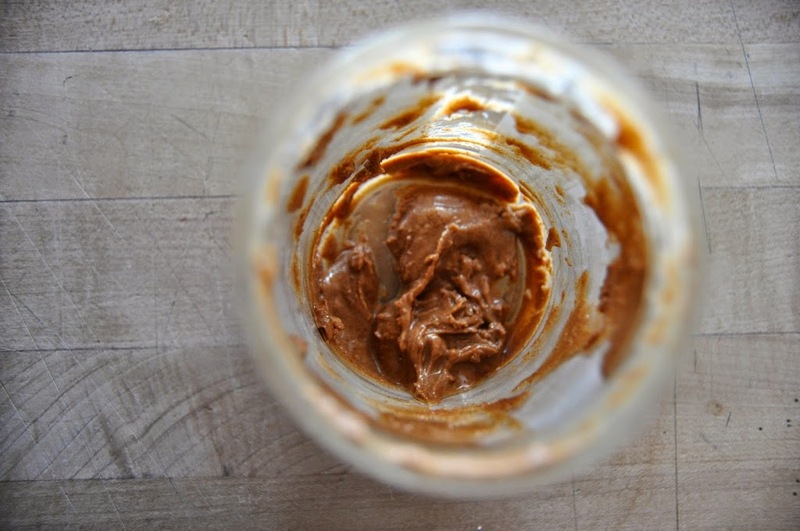 You just mix everything together the night before in a jar, let it mix and mingle overnight and then in the morning-voila!-you have a tasty little treat to wake up to! 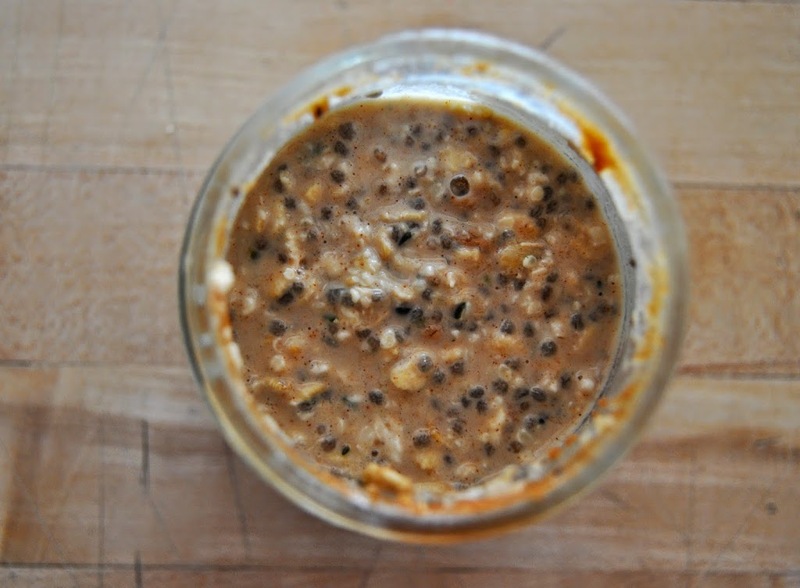 There are a million ways to sass up overnight oats and this Chia Banana Bread Oatmeal is just my latest version. Some others that I love are Berry-Vanilla (just use fresh berries, honey and a little shot of vanilla extract!) and Pumpkin Spice (add 1/4 c. pumpkin puree, a sprinkle of pumpkin pie spice and some maple syrup). So throw some oats together and wake up tomorrow with a delicious breakfast all ready to go! 1. 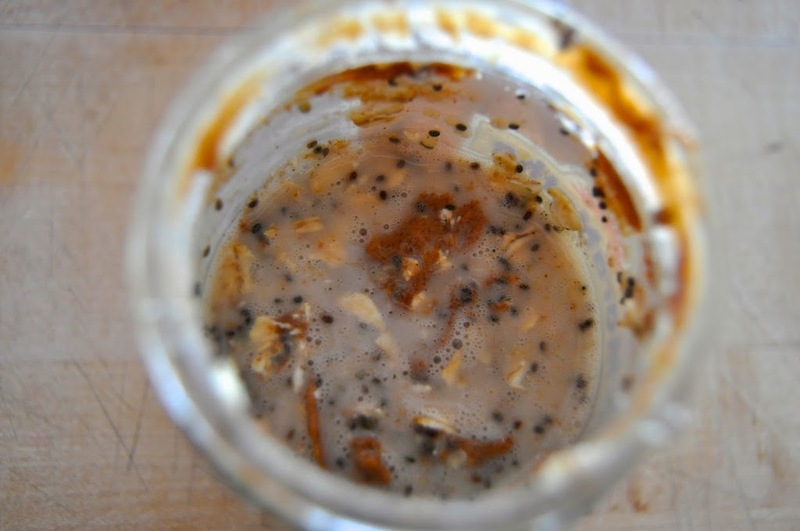 Pour the oats, dairy free milk, hemp seeds, lucuma powder and maple syrup in a small glass jar (easiest in a standard size mason jar or a barely finished almond butter jar!). 2. Cover, shake and pop in the fridge overnight. 3. When ready to eat give it a good stir, add your toppers and have yourself a fabulous morning!